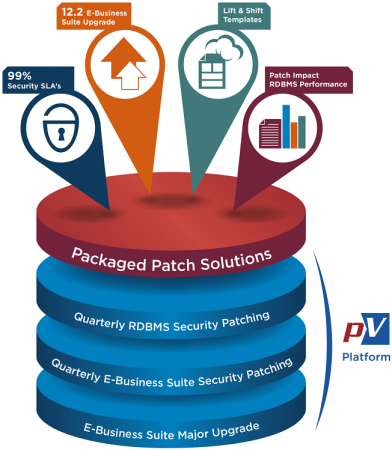 patchVantage is a highly scalable solution for Oracle Life Cycle management such as patching, cloning and monitoring. 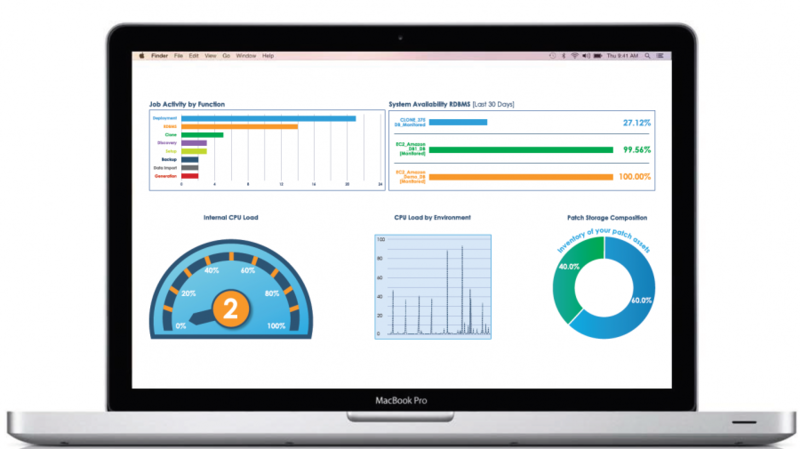 It has a modern HMTL5 interface and comprehensive compliance reporting. 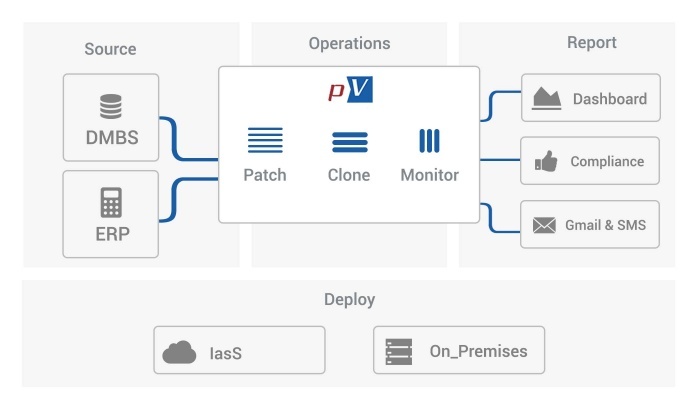 patchVantage is a highly scalable solution for Oracle LifeCycle management such as patching,cloning and monitoring. 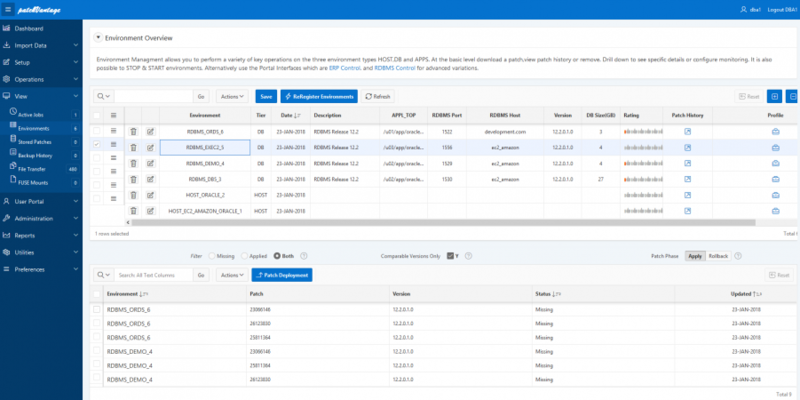 It has a modern HMTL5 interface and as well as JSON web services compliance reports. Apply Oracle Security patches directly from MOS to database or application with configurable pre-checks. Clone Databases in minutes using out-of-the box Linux NFS.